First and foremost, there is no need to install any software. 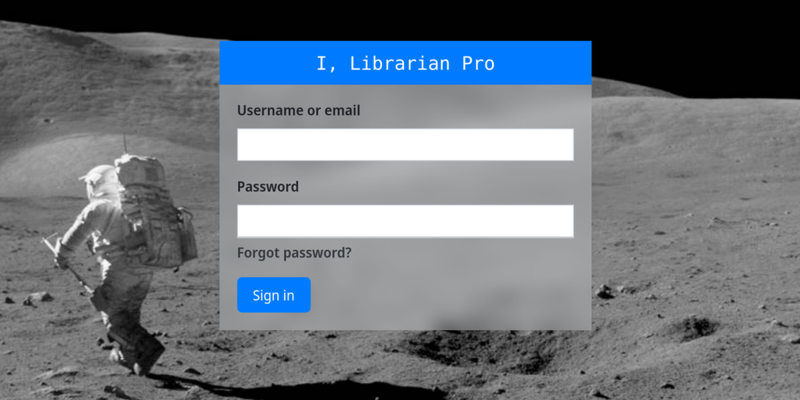 Just sign up for I, Librarian Hosted and we will take care of your literature management needs. Everything runs in your web browser. Sign up and take a sip of your coffee, as you watch your PDF library grow in front of you. We accommodate libraries with hundreds of users and tens of thousands of papers. Check out more features of our software below. Import PDFs from your hard drive or from the web. Metadata for PDFs are downloaded seamlessly from the Web. You can batch import all your PDF collection. Import articles, books, patents and more. Office files can also be imported and converted to PDF. 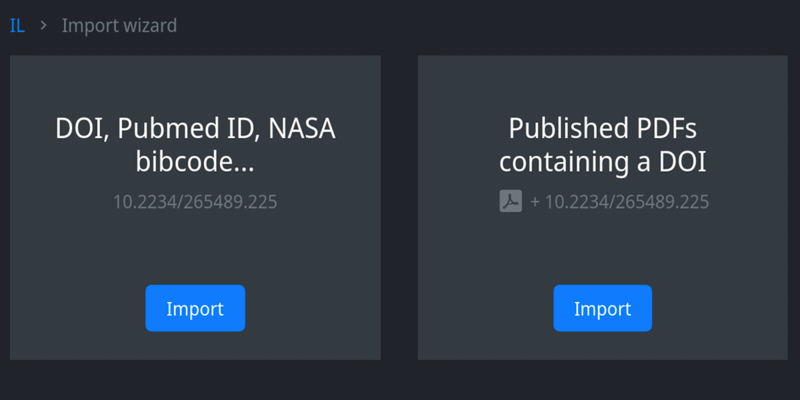 Directly search and import records from PubMed, PubMed Central, NASA, arXiv, IEEE, HighWire Press, and Springer. That is over 50 million records at your finger tips! Publications from many other databases (Science Direct, Scopus) can be easily imported through RIS format intermediary. 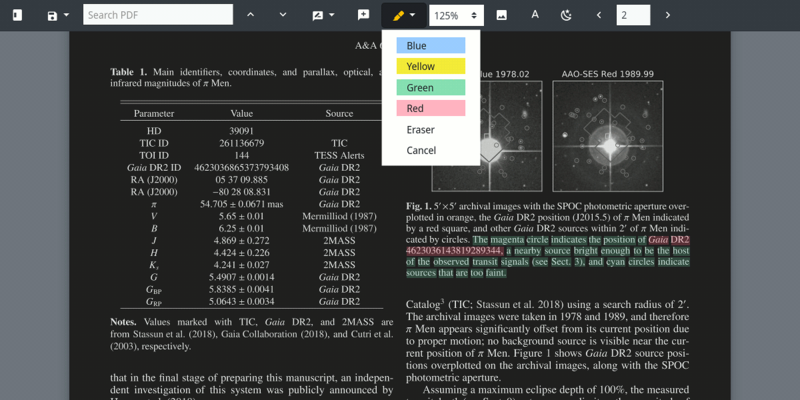 Search for words or phrases in references, PDF files, PDF annotations, and rich-text notes. It takes less than a second to search through >10,000 records. Searching is diacritics neutral. So, a search for "São Paulo" will find records that contain "Sao Paulo" and vice versa. You can even search PDFs from scanned images. I, Librarian will use OCR to extract the text from such files. Use a full-featured PDF viewer directly in your Internet browser. Use a blue marker to highlight important text. Attach pinned notes anywhere to remember what you thought when you were reading the paper. You can see your colleagues' annotations too. All annotations can be exported with a PDF file for printing or for dissemination to people who don't use I, Librarian. 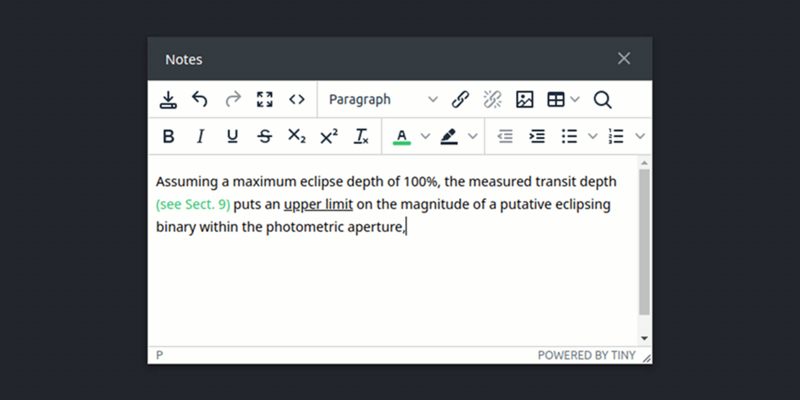 Keep rich-text notes with text highlighting, tables and images. Images that are attached to the paper can be automatically added to the notes. MathML is also supported for the ability to write complicated chemical or mathematical formulas. Academic writing is also supported. Format citations in over 1,000 styles from citationstyles.org. 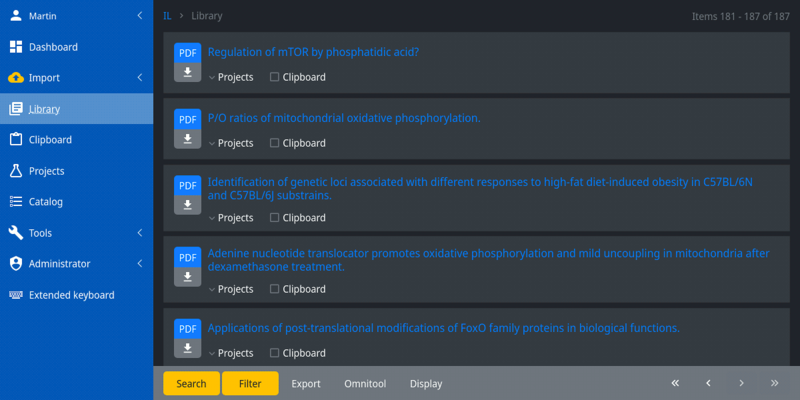 Scan your ODT, DOCX, and RTF manuscripts for citations and format bibliographies as endnotes. All this works right in your web browser. Bibtex/Latex workflow is also supported. There is too many cool features to list them all. 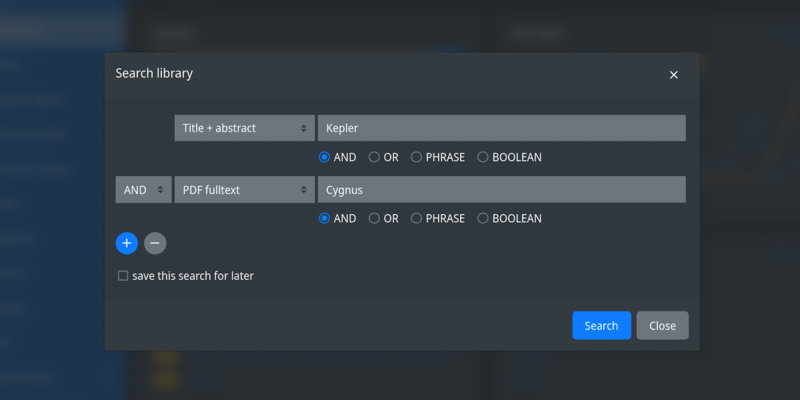 We did not even mention collaborative projects, assigning papers to custom categories, advanced supplementary file management, or the fact that you can export any number of items into your favorite citation manager.